The Precision of Profitable Growth is intended to provide a unique perspective on achieving profitable growth in a rapidly changing environment by leveraging big data for a more precise understanding of demand, customers, competitors and opportunities. The business environment is changing dramatically due to macroeconomic shifts, consumer trends, technology advances and changing competitive dynamics. Given these changes, successfully achieving growth will require a much more precise understanding of customer demand, exactly how to fulfill demand and how to win versus a changing competitive set and disruptive technologies. 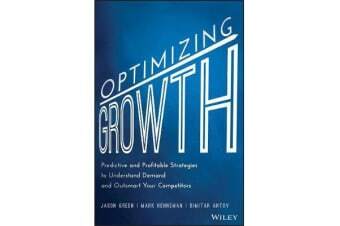 This book will describe the approaches, analytics, frameworks and organizational capabilities required to capture growth opportunities by developing a more precise understanding of demand.